I talked last Friday about the “flowers” on a poinsettia. Here they are, just beginning to open. I’m truly astonished, when given the right conditions (i.e., something warmer than my house!) how lovely this plant can be. And that’s just the “ordinary” red one. 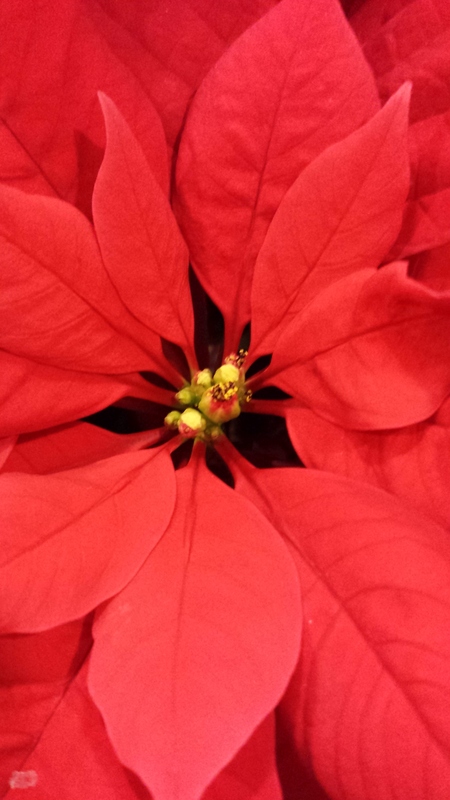 With so many varieties to choose from, so long as you have a warm home, there’s a poinsettia for every decor! Thanks. I can’t believe how besotted I am over the ordinary red poinsettia this year.